Nirnayakam malayalam movie directed by V K Prakash featuring Asif Ali, Malavika Mohanan, Tisca Chopra and Sanusha in lead is ongoing shoot at prominent locations. Scripted by hit-maker scribes Bobby and Sanjay, Nirnayakam touted as a family entertainer, will also have Shankar Ramakrishnan, Prem Prakash, Nedumudi Venu, Sudheer Karamana, Prakash Bare Lena, Saiju Kurup and Sreedevi Unni donning important roles. Basking in the glory of the previous ventures, including 'How Old Are You', scribes Bobby and Sanjay are gearing up to recreate the magic through their pen for filmmaker V K Prakash's next project. Titled 'Nirnayakam', the movie having Asif Ali, Malavika Mohanan, Tisca Chopra and Sanusha in lead roles movie discusses many aspects like the relationships between father and son, grandfather and granddaughter, mother and son. Touted as a family entertainer, 'Nirnayakam' carries a strong social message. Asif plays the role of a National Defence Academy student who is much confused about his life. Malavika, a bold malayali woman born and brought up in Mysore is a dancer is Asif Ali's love interest who guides him to get out of confused situations. More than a typical love story, 'Nirnayakam' captures interpersonal relationships. One film old actress Malavika made her acting debut opposite Dulquer Salmaan in 'Pattam Pole'. As the movie does not follow a straight story line, a bit of complication will add a twist in the entire tale. Bollywood actress Tisca Chopra, who played the mother of a dyslexic child in 'Taare Zameen Par', has also been roped in to play an important role in the movie. She had already paired with Mammooty in the Malayalam movie 'Mayabazar' in 2008. Siddique, Shankar Ramakrishnan, Prem Prakash, Nedumudi Venu, Sudheer Karamana, Prakash Bare Lena, Saiju Kurup and Sreedevi Unni donning important roles. The major portion of the movie will be shot at the National Defence Academy in Pune while Kochi and Mysore are the other major location points. V K Prakash, who has completed the Marathi version of Shutter made his last outing in malayalam starring Mammotty in lead. State Award winning actress Sanusha gives life to a character which has much scope to perform. Shaiju Khalid will be wielding the camera. 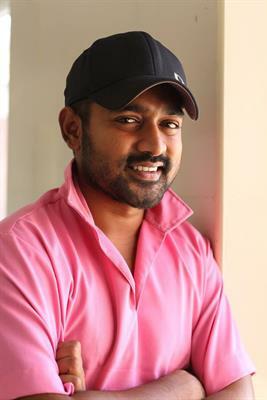 Asif Ali's recent releases 'Sapthamashree Thaskaraha' and 'Vellimoonga' credited to be box office hits have raised the star value of the actor. When V K Paraksh, the director of movies like Punaradhivasam, Mullavalliyum Thenamavum, Moonamathoraal, Police, Beautiful, Gulumal and Trivandrum Lodge join hands with Bobby and Sanjay, the spectators can expect a thrilling experience in the theatres. Oru Vadakkan Selfie malayalam movie directed by debutante G Prajith featuring Nivin Pauly and Manjima Mohan in lead is progressing in the outskirts of Thalassery. Scripted by Vineeth Sreenivasan, the movie is blessed with the presence of Aju Varghese, Bhagath Manuel, Neeraj Madhav, Vijayaraghavan, Sri Lakshmi, Santhosh Keezhattur, Harikrishnan and Shraavan. Planned to release in March 2015, the tunes are set by Shaan Rahman. Crayons malayalam movie directed by Sajinlal featuring Boban Alummoodan and Master Dhananjay has started rolling at Thiruvanathapuram. Dineesh Panikkar, Sangeetha Becker, Master Sabarikrishnan, Master Sibin Zacharia and Devisree will give life to other promienent characters in the movie. 'Crayons' is being produced by Dr Faiz Asees and Saneena under the banner Dream Desert Films. Oru Second Class Yathra malayalam movie to be directed by debutant director-duo Rejis and Jexson Antony stars Vineeth Sreenivasan and Nikki Galrani in lead. Scripted by the directors, the movie will be shot in locations across Kerala, including Kannur, Aluva, Thrissur, Kochi and Kayamkulam. Joju George, Sreejith Ravi, Chemban Vinod, Indrans, Nedumudi Venu and Innocent will give life to other prominent characters in the movie. Hello Ajnabee, a multilingual movie to be directed by Vinil Vasu will have Govind Padmasurya in lead. Actors Rahul Ravindran, Reeth Mazumder, Nasser, Mahesh Manjrekar and Anuj Saxena will play other prominent characters in the movie. The shooting of this suspense thriller will be shot at locations such as Mumbai, Goa, Pondicherry and Kerala and is expected to release in April 2015. The movie is being produced by Prakash Dhoryani. White Rose malayalam movie to be directed by debutante Arun Raj Poothanal featuring D4 Dance winner Mohammed Ramzan will star rolling in mid January 2015. Scripted by the director himself, the movie is being produced by Pavithra R Prasanna and Prasanna Mani Achari under Austira movie banner. The movie zooms into a teenage love giving much importance to education.